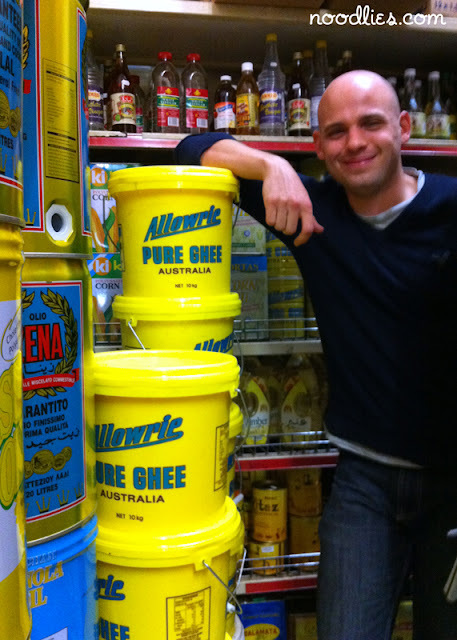 Weekends with Simon Marnie on ABC 702 Sydney was broadcasting live today at the Lakemba Mosque Open Day 2011. There were lots of loyal listeners who came along to see Simon and experience something new and different at the Mosque. 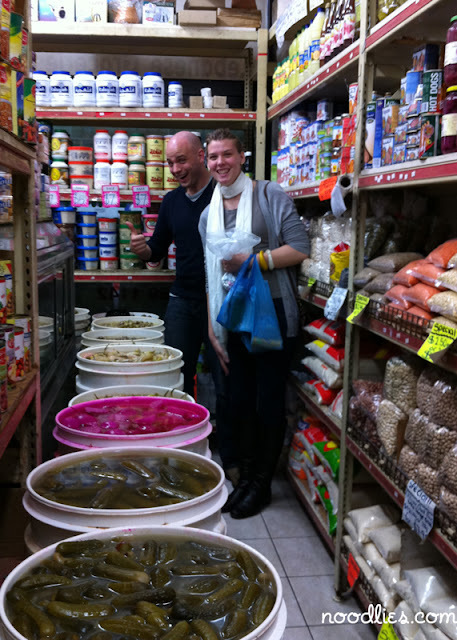 Simon tasked noodlies to do a really fun segment; where we took two ABC listeners into Lakemba town centre, to shop, eat and bring our discoveries back to share with Simon and his listeners, live on air! Check out the interview below, my adventures with Kate and Jack and noodlies contributor KLui! 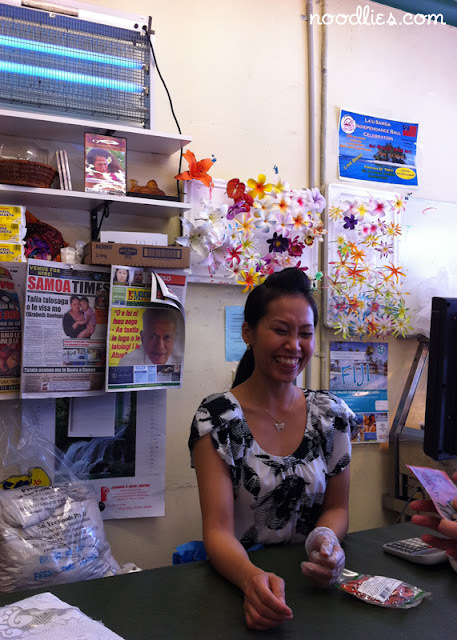 We all had sooo much fun poking around at the wonderfully exotic grocery stores in Lakemba, the video below was taken in several local grocery stores, including Manaia Grocery Pacific Island Shop… it was so much fun. In particular I love the energy and curiosity of Kate and Jack, KLui’s enthusiasm and the wonderful exotic drinks. Check out our shopping video below. 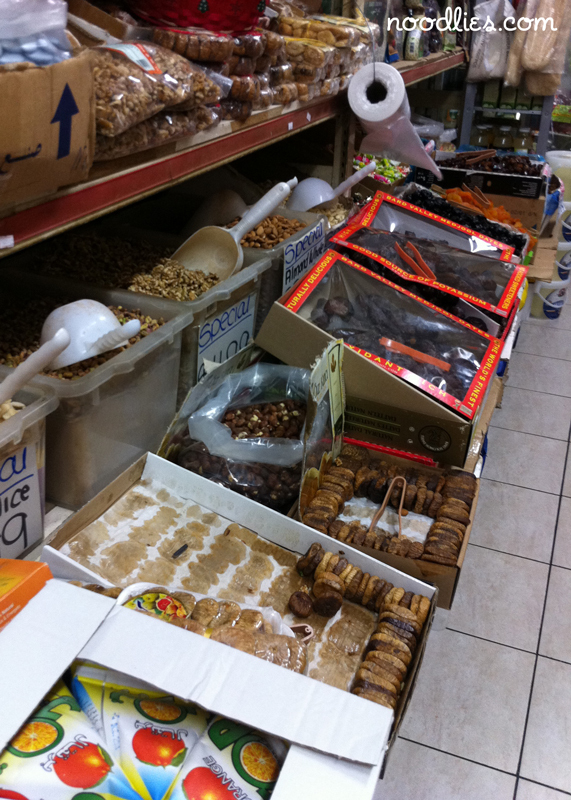 We also liked Traboulsi Bakery that served delicious Lebanese Pizza, the meat version was a favourite. 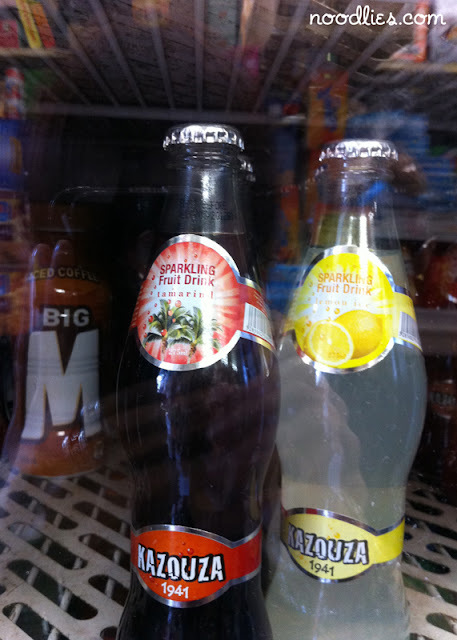 We also sampled heaps of great exotic drinks there too. Oh, and extra kudos to the owner for being extra helpful despite being so busy. 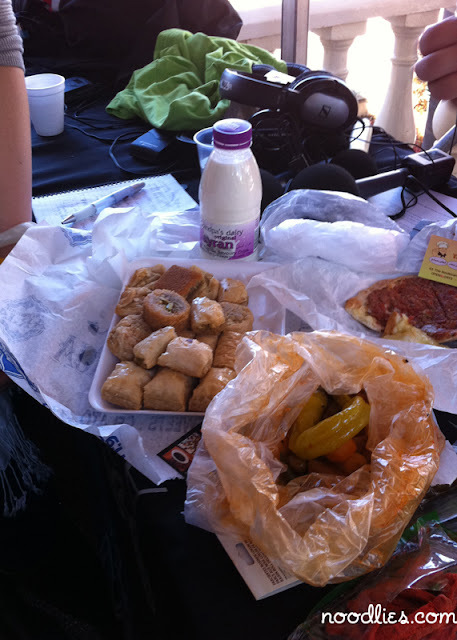 Before we embarked on our Lakemba excursion, ABC radio listeners were treated to Lebanese breakfast courtesy of Jasmin1 Lebanese restaurant in Bankstown. The falafel was oh, so good. And of course, Simon Marnie’s wonderful producer, June… love your work! And I got a hug! PS and heaps of thanks to KLui who filmed most of the video above as well as voicing some of them! This is fantastic thanks for sharing. I'm a big fan of Lakemba and try to visit often. We had a tweetup at Jasmins in Haldon St (you can see the tweets here – http://friendfeed.com/search?q=%23felafeltub ) and it was fantastic. Sydney is so blessed to have suburbs with amazing diversity – its a shame when people grow up in the inner eastern suburbs or lower north shore for example and never step more than a few kilometres from their doors for much of their lives. They're missing out! I missed the Christmas Island cafe because we were rushing around a bit to get everything in, but will definitely be back. 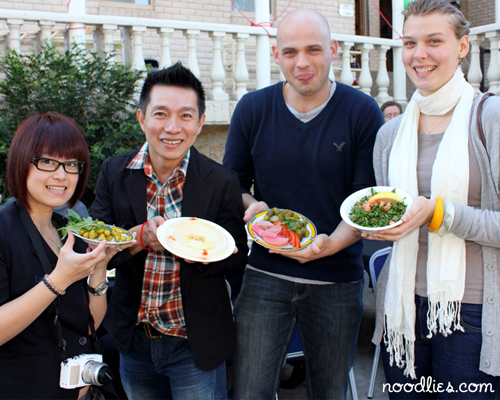 Your points about people missing out is so right, that's why I wanted to do the noodlies Cabramatta Food Tour with the North Sydney Community Centre.. and it's been a wonderful success. We must do coffee one day. Would have been good to catch up… it's been too long! And I'm definitely getting seduced by Jasmin's falafel! I love those desserts, I can never pronounce them, so I call them balaclava or point to it but I love it so much, so sweet! Looks like a great morning. Sorry I couldn't make it! 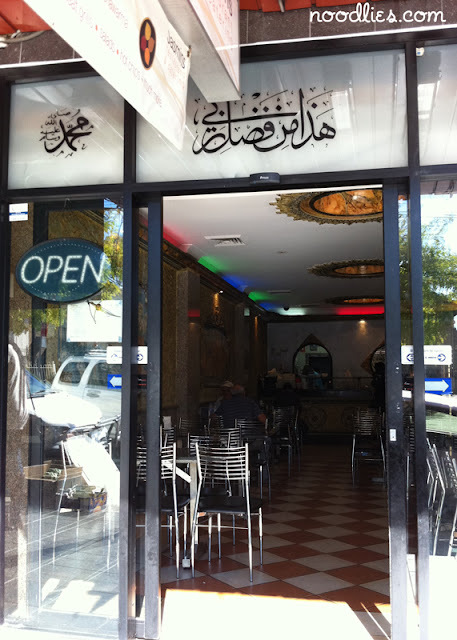 Lakemba is such a great suburb for interesting eats. Missed you there Helen.. would have been fun!